Taking care of our teeth is an incredibly important part of everyday life. While your teeth may look pearly and white on the surface, there’s a menacing bacteria constantly threatening your oral health, even with regular brushing. Plaque is a sticky, colourless deposit of bacteria that is constantly forming on the tooth surface. The build-up of plaque can trap stains on the teeth and is also the primary factor in gum problems. Fighting plaque build-up on teeth is a life-long part of good oral care – it begins forming on teeth 4-12 hours after brushing! Which is why it’s so important to brush at least twice a day and floss daily. Some types of plaque cause tooth decay, other types cause gum disease. Both kinds are harmful to your oral health. People often ask us how to get rid of plaque. While there are in-practice methods of getting rid of plaque, it’s much easier to prevent it from building up at home. As plaque begins to form within 4 hours it’s important to follow these preventative steps. The first step is flossing. 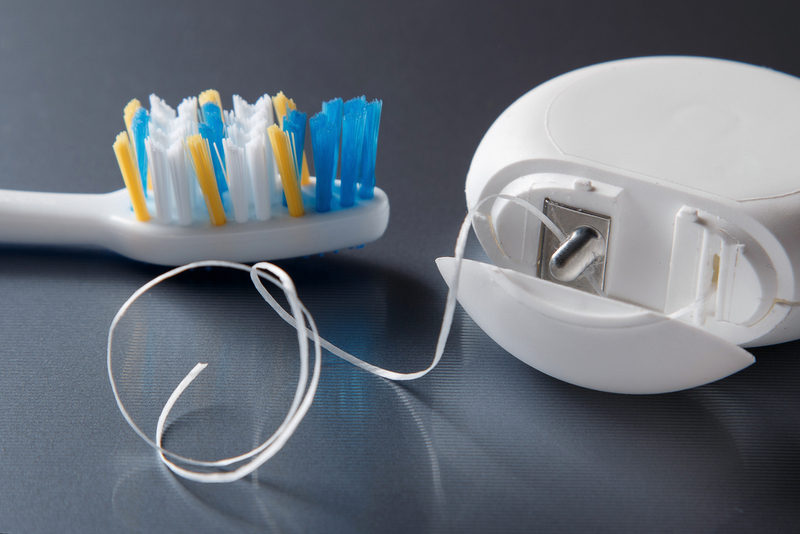 Flossing should be done before brushing and helps to reduce germs and food particles between teeth. You should aim to floss at least once a day. After flossing, it’s time to brush! Use any tooth brushing method that is comfortable, but do not scrub hard back and forth. Small circular motions and short back and forth motions work well. To prevent decay, it’s what’s on the toothbrush that counts. Use fluoride toothpaste as this is what protects teeth from decay. Thirdly, ensure you’re seeing your dentist on a regular basis. Once, every six months is recommended, but you may have to attend more often if necessary. Treatments such as a scale and polish are also effective for the removal of plaque. This is a ‘professional clean’ carried out at your local dental surgery. If a lot of plaque or tartar has built up, you may need to have more than one scale and polish. The price of a scale and polish can vary depending on what needs to be carried out, so ask your dental hygienist how much it’ll cost beforehand. Treatment usually costs around £55. At Perfect Smile, we believe in preventative dentistry. Our friendly teams are caring, professional and supportive, no matter what your dental concern is. Whether you’re popping in for a routine check-up, or larger procedure, we’ll be here to hold your hand. So, whether you have a question about your dental health, such as how to get rid of plaque, or you’d like to book an appointment, please feel free to give us a call to arrange to meet with one of our approachable dentists.